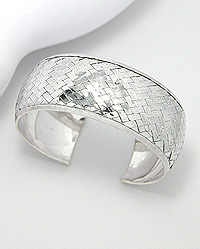 Welcome to our Exciting Lines of Sterling Silver and Gold Jewelry Collections. We are thrilled to have you here and we invite you to create your sterling silver and gold jewelry wardrobe with us today. To pick from the latest global trends worn by millions from around the world, please visit our collections of Fine Sterling Silver and Gold Jewelry. Check back often for New Arrivals! Check our CALENDAR for Sales Events! ADDED SERVICE: Download your free Skype account @ www.skype.com and we can call you for a live preview of any in-stock items you wish to see prior to ordering. OR we can e-mail you a video clip! BECOME A FAN ON FACEBOOK BY CLICKING "LIKE" BELOW"